We are happy to announce our launch of android app for Java developers to prepare for java interviews. 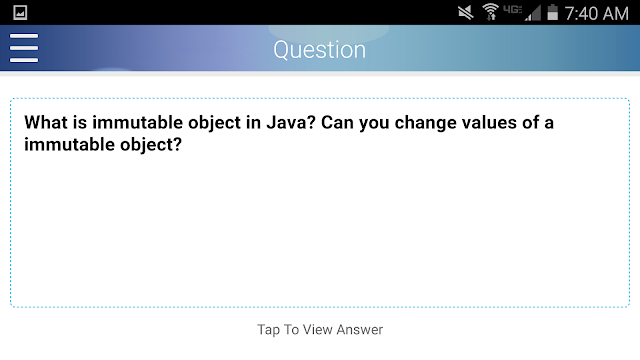 This app contains 80+ Java interview questions and answers for java developers. This is first android app created by us and we are really feeling excited about it. We had a huge list of questions and answers that were helpful to many readers and job seekers in past. We hope to be able to help more people using this app. 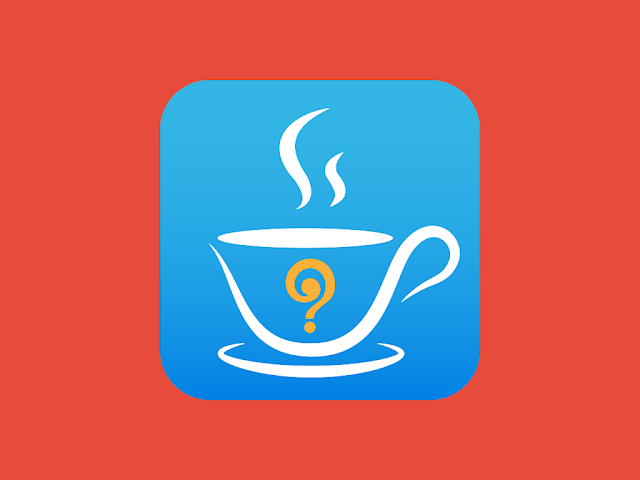 Please download this app from app store and let us know what you think. 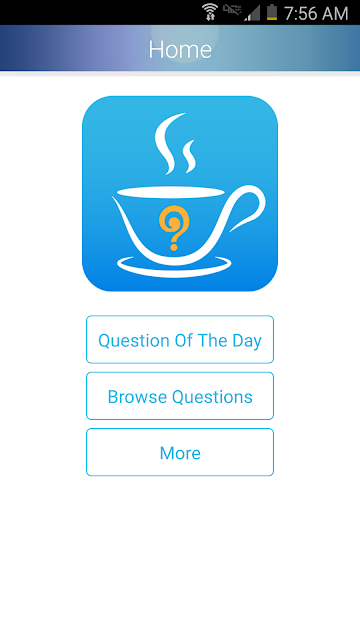 The app has simple browsing feature for navigating through the questions and answers. This screen will show you a question everyday. This can be used to quickly learn one small fundamental a day. Mainly useful for people who have less time in the day. The app also has a way to suggest a questions or send feedback. This is aimed to improve the quality of app and add more questions. This app is supported on all screen sizes including android phones, 7 inch tablets and 10 inch tablets. Its almost impossible to cover all screen sizes therefore we have tested it on one device in each screen size therefore we are expecting some issues related to screen size may be observed. Please report it to us and we will try to fix them. This is a free app and requires help from everyone to make it better. 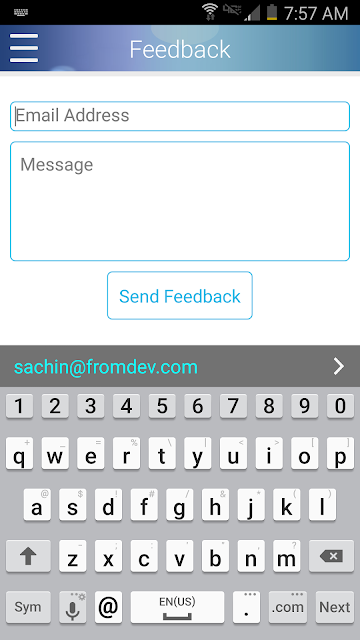 Feel free to suggest any improvements using the feedback feature in app. If you suggest a question to us we can also add you to the contributors list in the about page on app. If you like this app please rate us on app store and share with your friends. Here are some screenshots from this app. We hope you like this app. Please share your thoughts with us in comments.